The indictment also refers to Stone’s interactions with two associates who appear to be right-wing author Jerome Corsi and left-wing activist Randy Credico. The indictment also alleges that during that same month, Stone told senior Trump campaign officials that he had information that WikiLeaks had documents that would be damaging to the Clinton campaign. Those officials are not named, and Stone’s attorney, Grant Smith, told The Daily Caller News Foundation that he was not familiar with who they are. “They couldn’t find collusion, so they’re trying to get him on an immaterial charge,” Smith told TheDCNF. The indictment suggests that Stone’s conversations with Trump campaign officials occurred after WikiLeaks released DNC emails on July 22, 2016. The group began releasing Clinton campaign chairman John Podesta’s emails on Oct. 7, 2016. Stone, who has known Trump for decades, has repeatedly claimed that he had no advance knowledge of the source or contents of the Podesta dump. He has said that he learned from Assange’s public statements and through discussions with a longtime associate that WikiLeaks planned to release documents that would damage the Clinton campaign. But he has said that he did not know the specific timing of the release or that Podesta’s emails would be the payload. The indictment does not accuse Stone of handling emails that were pilfered from the Democrats or with helping to hack or release the documents. Mueller’s office also does not accuse Stone of knowing that Russia was involved in the hack and release of the Democrats’ emails. 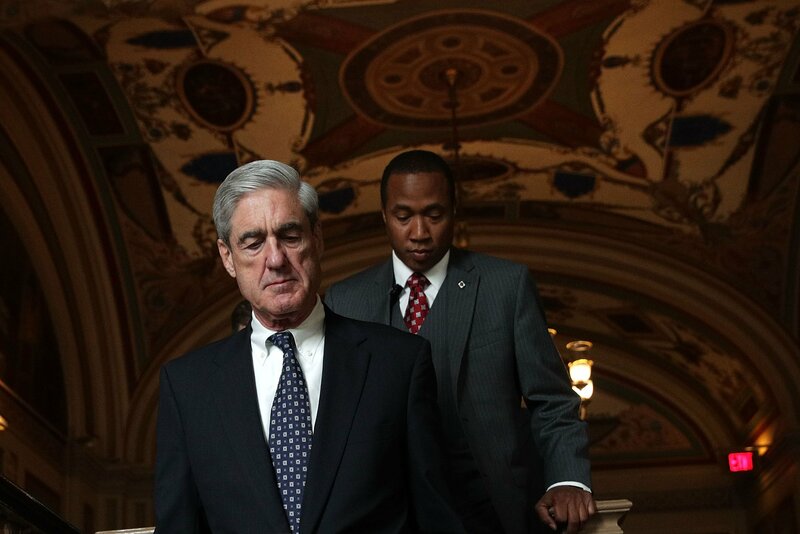 Stone has publicly disputed the allegation that Russia was behind the cyber-attacks, but on July 13, 2018, Mueller’s office indicted 13 Russian intelligence agents accused of hacking the Democrats’ emails and routing them through a cut-out to WikiLeaks. Stone’s public comments during the 2016 campaign, including on Twitter, raised speculation that he had advance knowledge that Podesta’s records would be dumped. Stone has insisted that the tweet referred to information he had gathered about the business dealings of John and Tony Podesta. Stone has claimed throughout the investigation that while he knew that WikiLeaks would release documents damaging to the Clinton campaign, he did not know that it would be Podesta whose emails would be released. The indictment also alleges that Stone appeared to take some credit for predicting the release of the WikiLeaks emails. He also told a Trump campaign supporter in early October 2016 that he had talked to “my friend in London,” a possible reference to Assange, who is living under asylum in the Ecuadorian embassy. “Spoke to my friend in London last night. The payload is still coming,” Stone told the Trump supporter, who is not identified in the indictment. The witness tampering charge appears to stem from Stone’s interactions with Credico, a former radio host who is close friends with a lawyer for WikiLeaks. Stone told HPSCI on Oct. 13, 2017 that Credico was his “back-channel” to WikiLeaks, and that Credico had provided him with tips about when WikiLeaks planned to release information relevant to the campaign. The indictment cites several text message exchanges which show Credico providing updates to Stone. Credico, who has appeared before Mueller’s grand jury, has disputed Stone’s claims that he was his source for information about WikiLeaks. But text messages cited in the indictment do show that Credico provided Stone with some information suggesting he had insight into WikiLeaks’ plans. “Assange has kryptonite on Hillary,” Credico wrote Stone on Aug. 27, 2016. “Big news Wednesday,” Credico said in a text message on Oct. 1, 2016, six days before WikiLeaks began releasing Podesta’s emails. “Now pretend u don’t know me….Hillary’s campaign will die this week,” added Credico, who is longtime friends with Margaret Ratner Kunstler, a lawyer for WikiLeaks. While Credico provided some information to Stone, prosecutors say that Stone gave false statements about when he and Credico began discussing WikiLeaks’ plans. In his HPSCI interview, Stone was asked about his comments on Aug. 8, 2016 and Aug. 12, 2016 suggesting that he had been in communication with Assange. Stone said that his statements were a reference to communications he had with WikiLeaks through a “go-between,” who he later identified as Credico. But the indictment states that Credico did not have contact with Assange until Aug. 25, 2016, when Credico interviewed Assange on his radio show. The indictment focuses heavily on email exchanges between Stone and Corsi, a former InfoWars correspondent who is best known as the father of the so-called “Birther” movement. “They deal with Foundation, allegedly,” wrote Stone, referring to the Clinton Foundation. Stone has released emails from earlier that day which show that he had been forwarded an email originated by Fox News reporter James Rosen, who said that he had learned that WikiLeaks planned to release Clinton Foundation emails. Stone has claimed that his message to Corsi was a reference to Rosen’s email, which ended up being inaccurate since WikiLeaks did not release Clinton Foundation documents. Stone and Corsi have said that they do not believe that Malloch ever met with Assange. An email that has drawn intense scrutiny is one that Corsi sent Stone on Aug. 2, 2016. Stone has disputed Corsi’s claims that he was told that WikiLeaks had Podesta’s emails. He has told TheDCNF that he did not interpret Corsi as saying in the email that WikiLeaks hacked the Clinton official’s records.